All organisations face budgetary challenges but for Not For Profit (NFP) and charity organisations, this challenge is some what amplified. 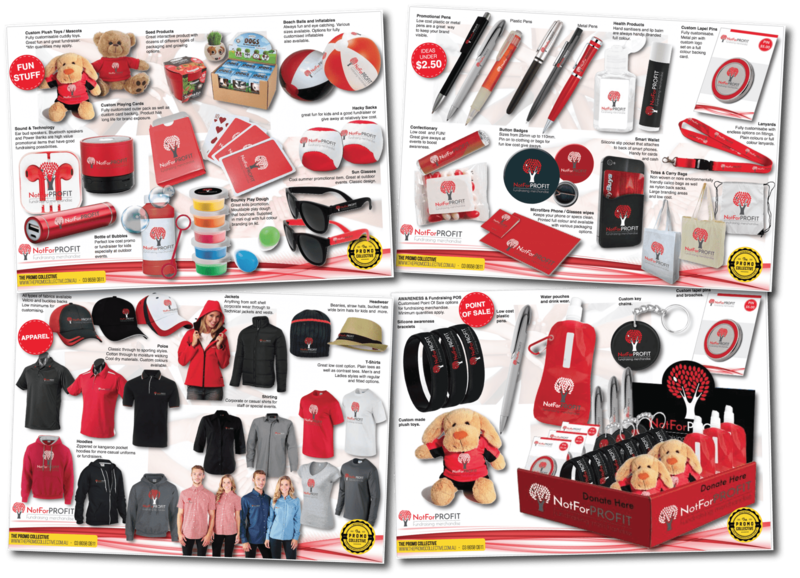 Its essential that whatever promotional product is chosen, the return on investment (ROI) must be optimised. The Promo Collective understands this which is why we work hard to help achieve the best bang for your NFP buck possible. The team at The Promo Collective have dealt with dozens of NFPs over the years. We make sure that wether our clients products are being sold online, through a POS box at retail or other channels, the product must be appealing and have a high perceived value in order to raise necesary funds. Custom made plush toys are hands down our favourite. We’ll produce a unique plush piece out of nothing more than a sketch at times and the results can be amazing. Critically, they are a great fundraising tool because they are an emotive product so great for adults and kids alike. Custom lapel pins are a low cost item that always represent a good ROI as are awareness bracelets. We also produce some great fun items as well which are good performers for NFPs. Custom playing cards, hackey sacks, promotional confectionary and promotional pens are ever popular. Next time your NFP or charity organisation are looking to engage in fundraising activities, give us a call to discuss what we can do to help you raise money for your cause.